The Rev. Dr. Yam Kho Pau, a member of the Central Committee of the World Council of Churches (WCC) and the immediate past General Secretary of the Myanmar Baptist Convention (MBC) passed away on Sunday 25 November 2018 in Yangon. 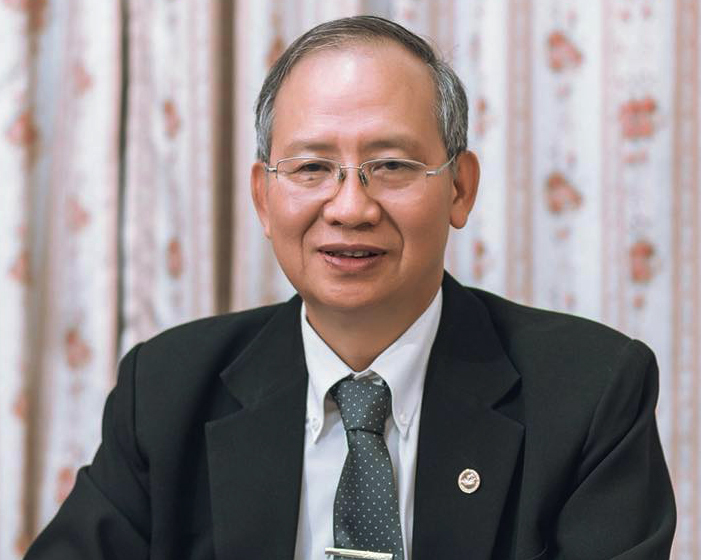 Dr. Pau served the MBC as its General Secretary for six consecutive years, from 2011 to 2017. Before being elected as the General Secretary of the MBC, he served the Myanmar Council of Churches (MCC) as its Associate General Secretary and Executive Secretary for Human Resources Development. He has been actively participating in committees and councils of various church and ecumenical organizations in Myanmar including the Association for Theological Education of Myanmar (ATEM), Myanmar Institute of Theology (MIT), National Leprosy Mission of Myanmar, and the Kuki Chin Baptist Association (KCBA). While paying tribute to Rev. Dr. Yam Kho Pau and offering condolences to his bereaved family as well as to the members of the MBC, the General Secretary of the Christian Conference of Asia (CCA) Dr. Mathews George Chunakara stated that “Dr. Pau, a very dearly colleague of him in the Asian ecumenical movement for almost two decades, was deeply committed to the mission and witness of the Church in Myanmar, and he always demonstrated his passion for wider ecumenism and inter-faith dialogue”. “As the National Correspondent of the Scholarship programme of WCC Dr. Pau significantly contributed to identifying many young people from different provinces in Myanmar, and recommending them for higher studies in theology and development in different parts of the world”, said Dr. Mathews George Chunakara. “As the General Secretary of the MBC, Dr. Pau was instrumental in extending invitation to CCA hold two important ecumenical events in Myanmar; and subsequently he took the major responsibility through MBC of hosting the Asia Mission Conference-2017 as well as the Diamond Jubilee celebration of CCA which was held in Yangon in October 2017”, recollected the CCA General Secretary. Dr. Pau coordinated the work of various committees and hosted two international ecumenical events, first time ever held in Myanmar. Started his church ministry as a youth worker of the Kuki-Chin Baptist Association, Dr. Pau completed his theological studies at the Myanmar Institute of Theology, and subsequently pursued his Master Degree (M.Sc.) in Pastoral Sociology at the Asian Social Institute in the Philippines, and the doctoral studies (Ph.D.) in Rural Development and Organizational Management at the Central Luzon State University, Philippines. The funeral service for Dr. Pau will be held on 27 November 2018, at the Chin Baptist Church, Yangon, Myanmar.